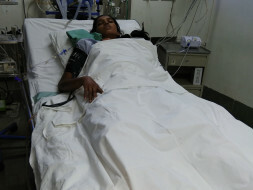 23 year old Shamal Tambe was diagnosed with Wilson's Disease when she was 13 years old. She has been suffering from this deadly disease for the last 10 years and has taken several medications. 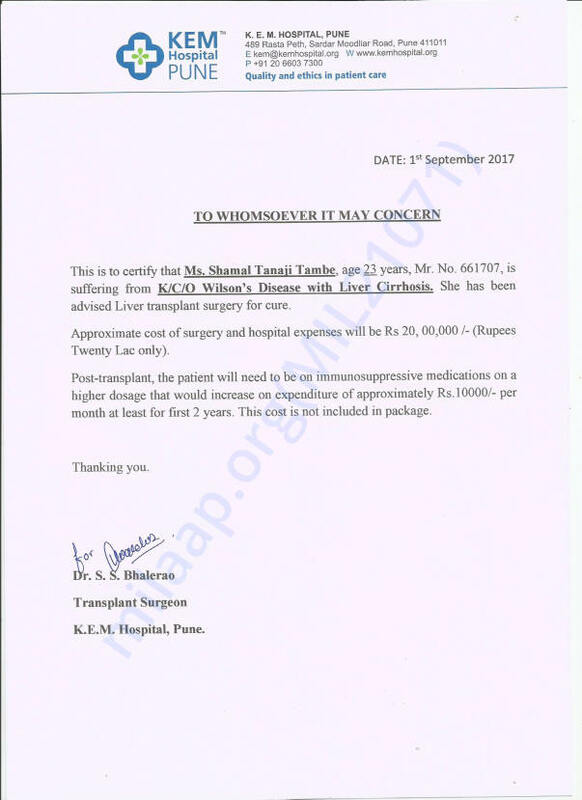 The doctor has now told her that a liver transplant is the only cure for her ailment. 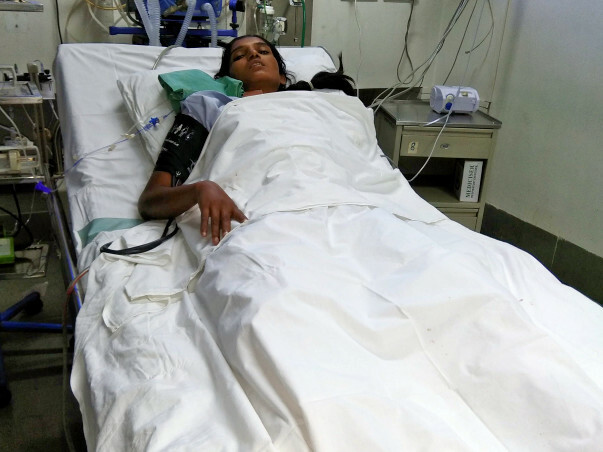 Coming from a very humble background and having spent thousands of money on medicines so far, the family needs your support to help Shamal get the treatment she deserves. The funds raised through this campaign will be used for Shamal's liver transplant treatment. Shamal has been discharged from the hospital. She is doing well and coming for regular monthly follow ups. Request you to keep her in prayers.